WANT ACCESS TO ALL THE HOTTEST #FREEDOMBABE UPDATES? ONE MORE STEP! Check your inbox & junk folder to confirm your email & get on our VIP list! Are you the kind of girl who is done playing small in her life? The kind of girl who is over her 9-5 and 2 weeks vacation time? The kind of girl who's dream life consists of spa days, luxury shopping sprees, first class travel and vintage vino? I GET IT. BECAUSE I WAS THAT GIRL, TOO. 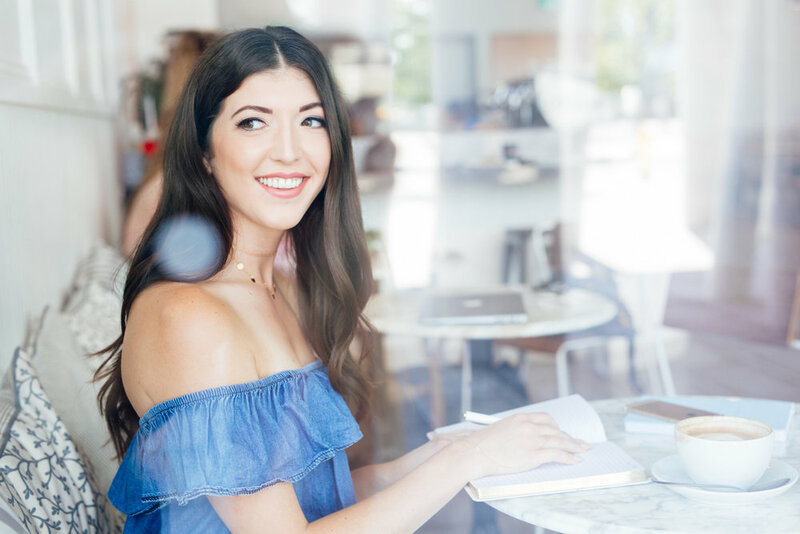 I AM A BUSINESS + LIFESTYLE COACH FOR MILLENNIAL WOMEN WHO ARE READY TO BUILD A PASSION-FILLED + PROFITABLE ONLINE BUSINESS, AND CREATE THEIR FREEDOM. I've spent most of my 20's working toward a freedom lifestyle. I decided quickly after University that I wasn't going to work a 9-5 and never looked back. Throughout my journey as an entrepreneur, it became obvious how many millennial women felt the same way, but lacked the support and guidance to create their freedom. 1) Passion. My love for designing my life is strong and apparent. The Freedom Babe allows me to live purposefully, share my unique message, inspire women who connect with it, and help them take action. 2) Community. Creating your freedom can be tough. Not everyone understands, and that's okay. But Freedom Babes understand. We get it, and we've got your back. 3) Support. You don't have to walk this journey alone, and you certainly don't have to use trial and error to create your freedom. The Freedom Babe was designed to support you in your journey, and teach you what I've learned that's gotten me to where I am today. what does it mean to be a freedom babe? A Freedom Babe is obsessed with designing her life + creating her freedom. She knows that by settling in her life, she is serving no one. A Freedom Babe loves herself (or is working on it everyday) and knows deep down, she is meant for true greatness. A Freedom Babe is a dreamer. She knows that first class travel, luxury shopping sprees, and multiple 6 figure years (or hell, months) are all in the cards. A Freedom Babe is an action taker. She takes action on her biggest desires and manifests them like nobody's business. She understands that she is worthy of all her desires, can have anything she wants, and is completely unapologetic about it. A Freedom babe knows that success is an inside job. She's committed to showing up as her best self and connecting with her feminine energy, because success is magnetized to her when she does. A Freedom Babe is connected to her highest self. She makes decisions from this place to best serve herself and everyone around her. A Freedom Babe isn't afraid to be herself. Her imperfections are what make her real. READY TO BECOME A FREEDOM BABE?